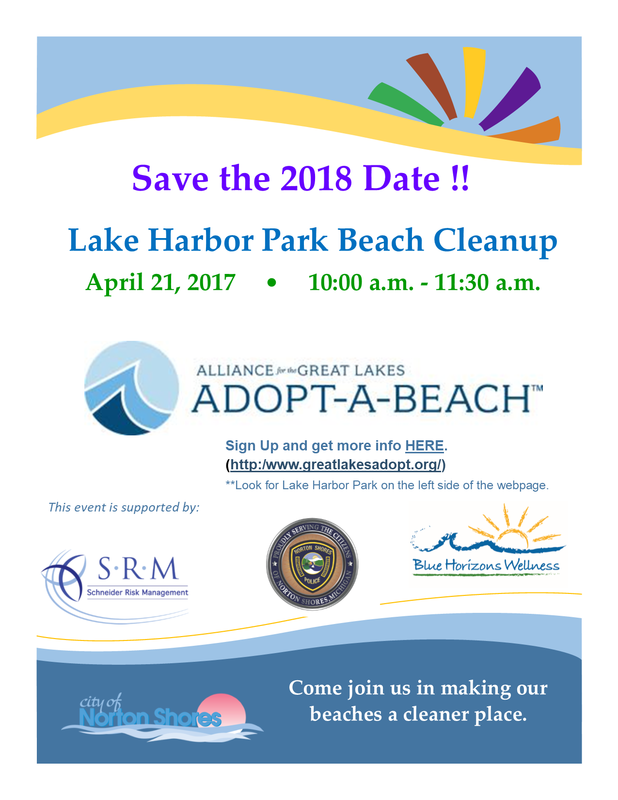 Join Schneider Risk Management, LLC (SRM), Blue Horizons Wellness, the City of Norton Shores, and the Norton Shores Police Department on April 21st in spending a couple of hours making sure the beach is clean and usable for the summer season! ​​So please join all of us in keeping our beaches clean and safe!! !